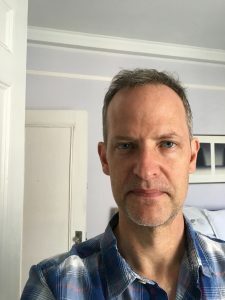 Tom Thompson is the author of Passenger, published by Four Way Books in 2018, as well as Live Feed and The Pitch, both published by Alice James Books. He has degrees from Dartmouth College, University of Sussex (UK), and the University of Iowa. His poems, essays, and reviews have appeared widely. A long-time advertising executive, he currently works at St. Martin’s Press and lives in New York City with his family.